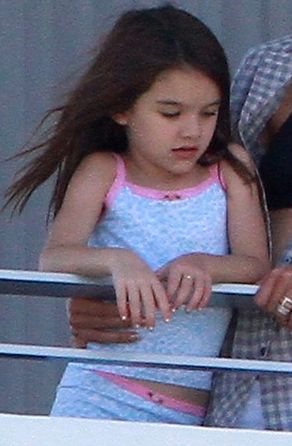 on Wednesday, 27th Suri & Katie were spotted at So You Think You Can Dance Studio. Suri & Katie went shopping to Worldtone Dance in LA on Friday, 29. Pink Tiered Sweater Dress by Juicy Couture (first worn on January 29th 2011) and Silver Ballerina Shoes by Repetto (frist worn on July 26th 2011). 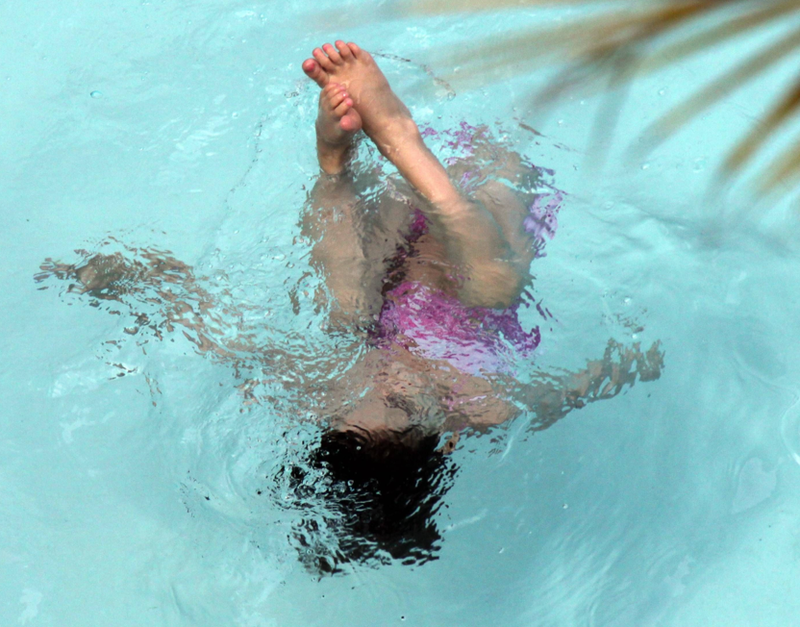 Unseen Picture of Little Suri from February 2007! if Suri Cruise had a Burn Book... the remarks are way too bitchy, but hilarious! "JUST BECAUSE YOU DON'T HAVE A FERRAGAMO HANDBAG DOESN'T MEAN YOU CAN BEHAVE LIKE A CHILD." on the picture above is the closest Copy-Cat option: Navy Cerry Print Skirt by Cordelia de Castellane. and another Copy-Cat option: SS'10 Skirt by Jacadi, it is close, but the print are different. and one more of Suri's stylish garments - Red Dress with Necklace, no id so far; but GAP just released a very similar Sparkly Graphic T with necklace. Suri was spotted with her nanny on set of Katie's photoshoot in Hollywood on Tuesday, 26.
later, Suri & Katie went to get ice-scream at Sweet Rose Creamery at Brentwood Country Mart. Suri is wearing a new pair of Silver Ballerina Shoes by Repetto, most likely purchased during their latest shopping at The Poppy Store. 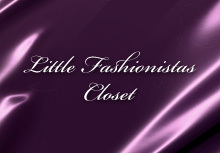 In Suri's Closet - Seafolly! 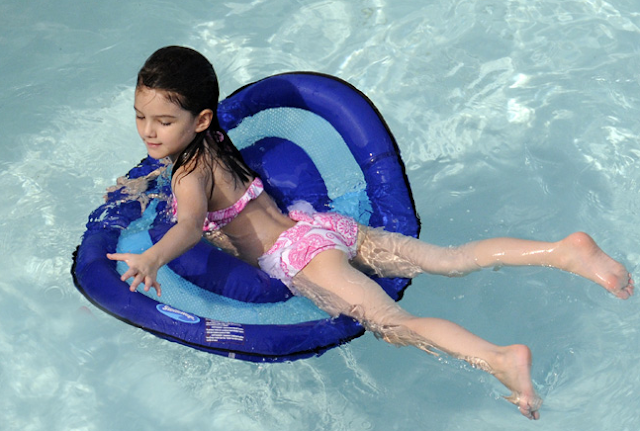 Suri was wearing Ballerina Skirtini Swimsuit by Seafolly Kids Australia, it was availiable at Nordstrom. Thanks to Cynthi & Natalia for the info! 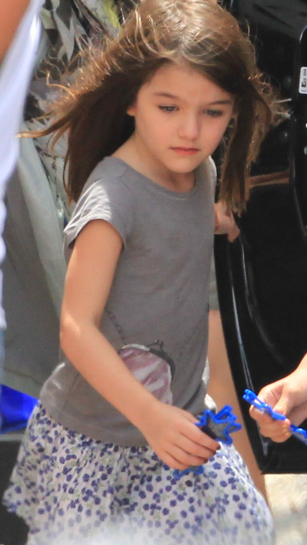 Suri & Katie were out shopping at Brentwood Country Mart in LA on Sunday, 24th. and walked in them out of the store, on this picture we can Suri leaving the car & on her way to the store in her favorite Butterfly Flip-flops by GAP. 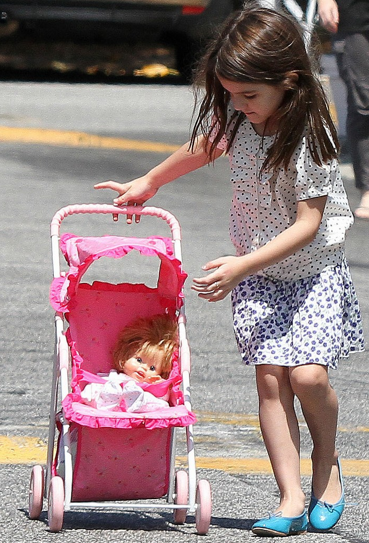 Suri is pushing Pink Bitty's Stroller by American Girl. Suri & Katie were out with friends at Milk Cafe in LA on Saturday, 23rd. 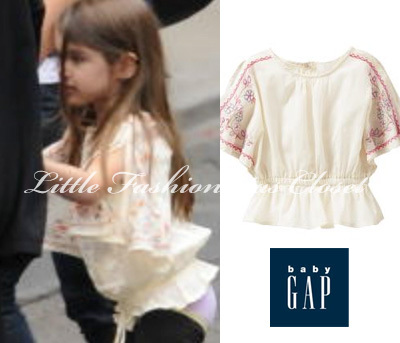 Suri is wearing Dolmain Sleeves Embroidered Top from Amalfi Fall Trans'10 TG Collection by GAP (first worn on August 8th 2010) and Butterfly Flip-flops also by GAP. 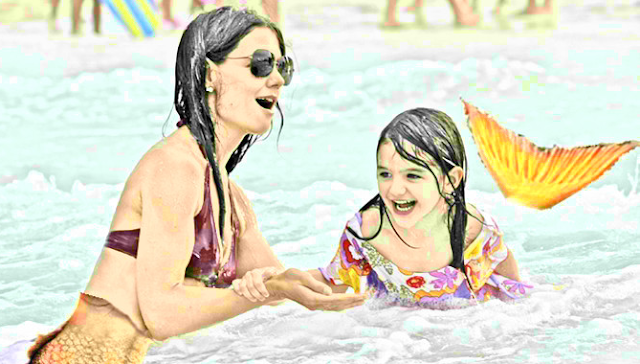 Suri, Katie and Tom enjoined another day of water fun at Soho Beach House Hotel in Miami on Sunday, 17.
this time, Suri was swimming on her own a little..
while returning to their hotel Suri was wearing Blue Tiered Tank Dress by GAP as a cover-up and her favorite butterfly flip-flops also from GAP. check out 1st pictures of Harper Seven Beckham here! 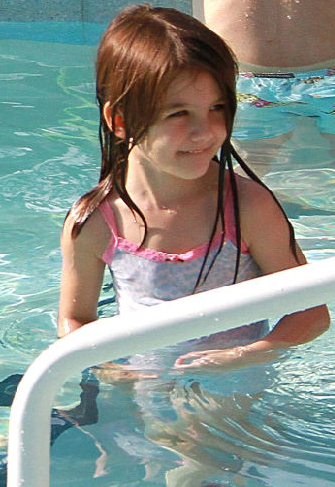 Suri spend some quality time with her parents as they take a dip in the pool at the Soho Beach House Hotel in Miami on Saturday, 16. Suri used her sleepwear by Esme as her swimwear.. Thanks to Ana for the link! Who Wore Bonpoint Dress Better - Suri, Violet or Seraphina? 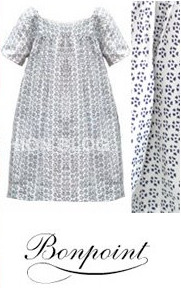 Suri wore Blue Flower Print Dress in August 2008! Her outfit was very simple and accessorized only with Gold Shoes, also by Bopoint. A few months later, Violet Affleck wore this dress as a tunic, paired with leggings & keds, while out with her parents in LA in October 2008. Four years later, Seraphina Affleck spotted wearing the same dress, while out with her mommy in Santa Monica in July 2011. Seraphina completed her outfit with Flower Shoes by Aleja LAkroy. Suri wins it form me with her simple yet stylish look! 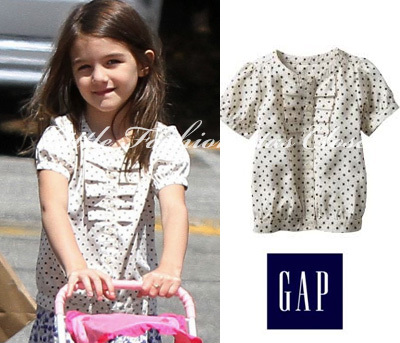 Suri was wearing Pink Diamond Dress SS'10 by Missoni Kids, while attending theatre performance in Toronto, Canada on July 16th 2010. 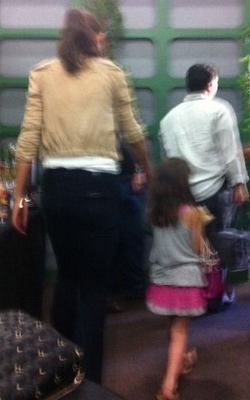 Suri was wearing Pink Floral Dress by Missoni Kids, while leaving hotel in Cancun, Mexico on July 10th 2011. Thanks to Princessbess for the hint! Suri & Katie spotted leaving their hotel in Cancun, Mexico on Sunday, 10th. Katie was in Cancun to promote her new movie "Jack and Jill". 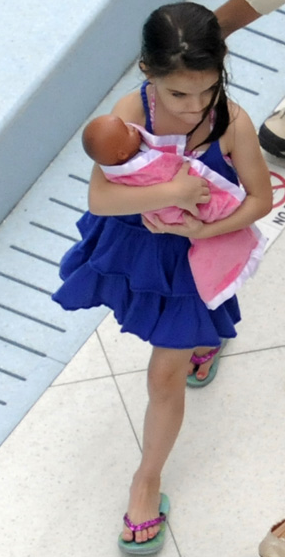 Suri & Katie were spotted outside of their hotel in Cancun, Mexico on Saturday, 9th. Suri is wearing her favorite floral skirt and Pink Ladybug Rain boots by Stephen Joseph. 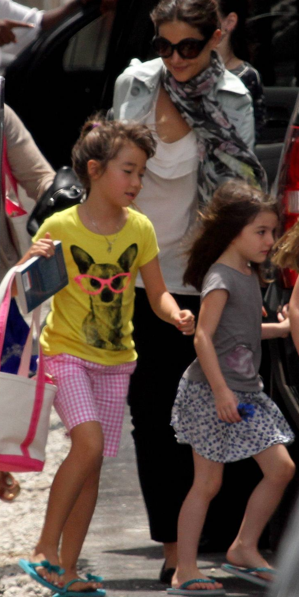 Suri along with her friends & family leaving their Miami hotel en route to the 4th of July celebrations. 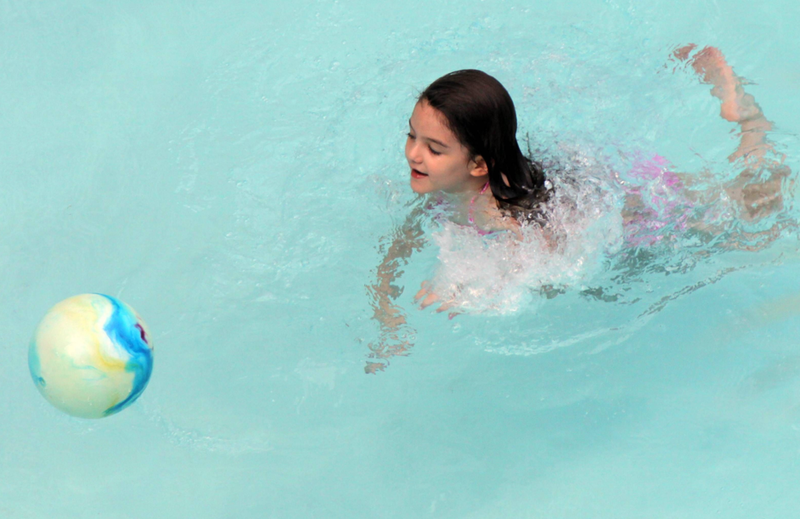 It looks like Katie Holmes will not be spending the 4th of July with Tom and Suri. When the family left their Miami Beach hotel Tom and Katie kissed for a very long time which led onlookers to believe it was a kiss goodbye. Katie left in a seperate sedan and the rest of the family in an SUV. Later Katie and Jeanne Yang boarded private jet in Miami airport. Today (July 5th) Katie was front row at Giorgio Armani Privè FW 2011/2012 fashion show in Paris, France. 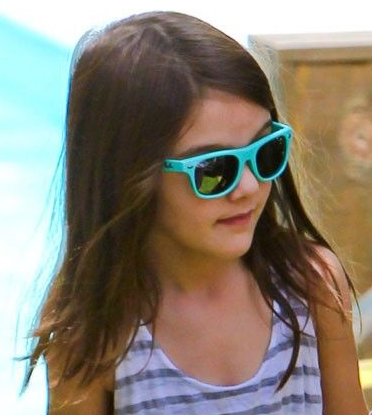 Suri celebrates Tom's 49th Birthday with Katie, Conor and many other guests in Miami on Sunday, 3rd. Suri got her face painted 3 times: flowers, tiger & butterfly! Suri is wearing Pink Ruffle Halter Bikini SS'10 by Crewcuts; Butterfly Sparkle Flip Flops and Heart Sparkle Flip Flops both by GAP. Suri was also wearing Reversible Stripe Dress by Splendid Littles (the exact color available only instore) and Gold Heel Sandals, first worn for the Memorial Day Party. Thanks to Mandee for the dress id!